Join us on what we believe is one of the most comprehensive, adventurous, educational and in-depth exploration of Bolivia and Paraguay ever offered. Spanning just over three weeks, we will travel across the vast and ever-changing landscapes where we will be delving into the beauty, cultures, colonial cities, villages, mountains, lakes and epic and diverse wildlife of both Bolivia and Paraguay on an unforgettable adventure. Visit the incredible Witches Market in the mountain city of La Paz, which lies between 10,650 and 13,250 feet above sea level. Scan the bizarre and breathtaking lunar landscapes and watch the sunset at Moon Valley (Valle de la Luna). 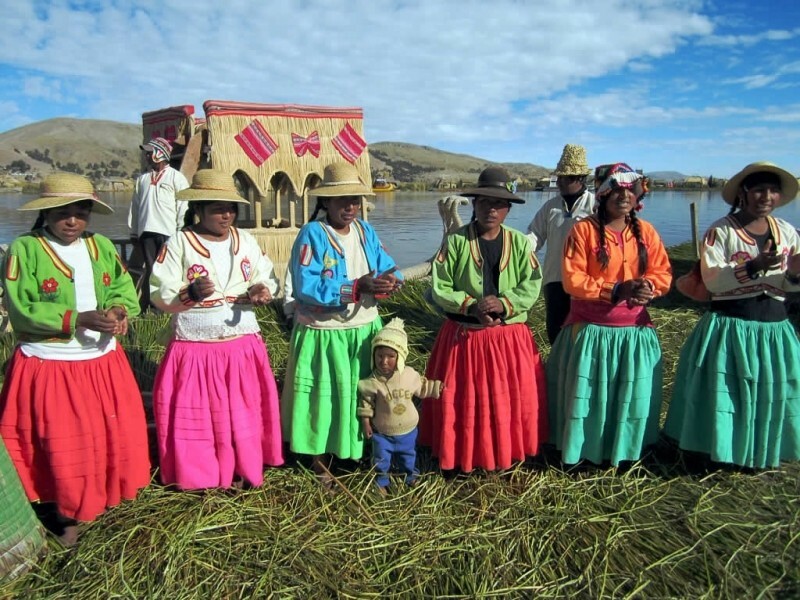 Spend a couple days around the stunningly-blue Lake Titicaca visiting its islands and indigenous villages. Venture across the wild open spaces of the Altiplano, the most extensive area of high plateau on the planet outside of Tibet. 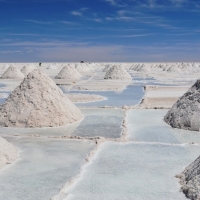 Have one of the world’s most memorable travel experiences at the vast and otherworldly Salar de Uyuni, the world’s largest salt flat. Stroll around the old silver mining town of Potosi, a UNESCO World Heritage Site and one of the world’s highest cities, full of magnificent baroque churches and monasteries. See the sloths and other wildlife in nature preserves outside Santa Cruz. 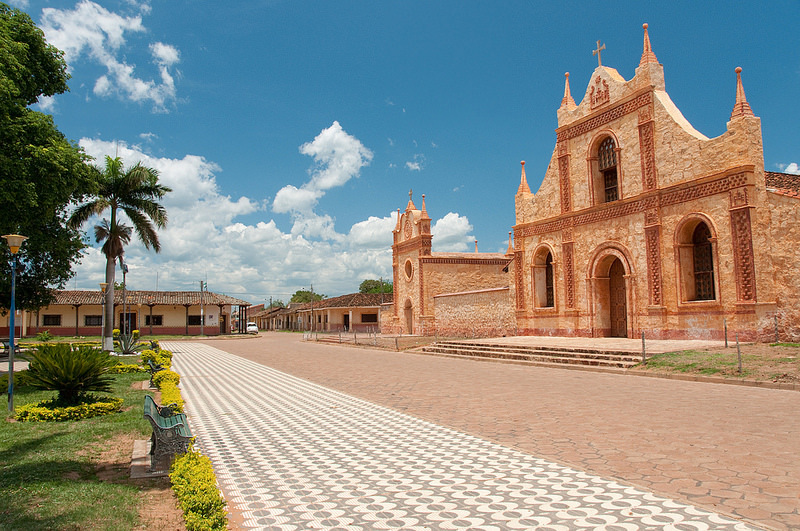 Get far off-the-beaten path with a few days visiting several of the historic Jesuit Missions of the Chiquitano Indians. Learn about and see rural Mennonite communities in Bolivia and Paraguay. 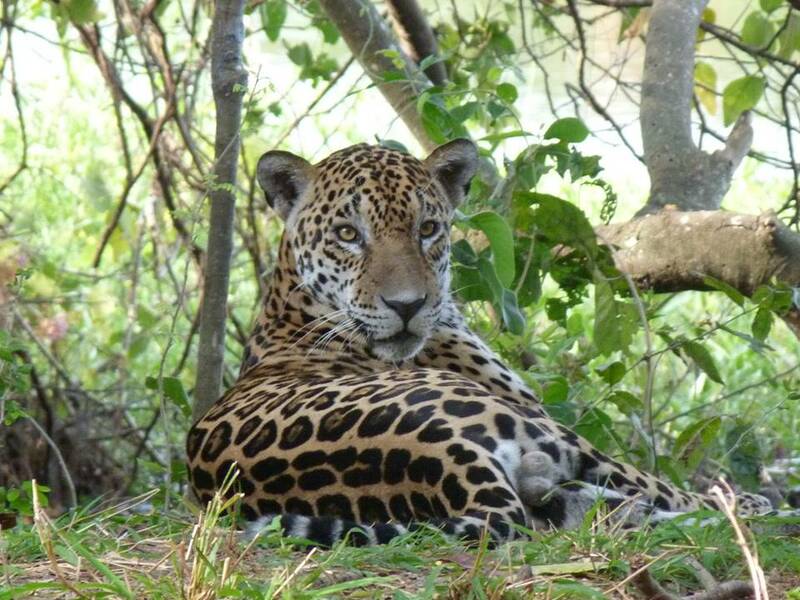 Search for jaguars, pumas and an array of other wildlife in Defensores del Chaco National Park. 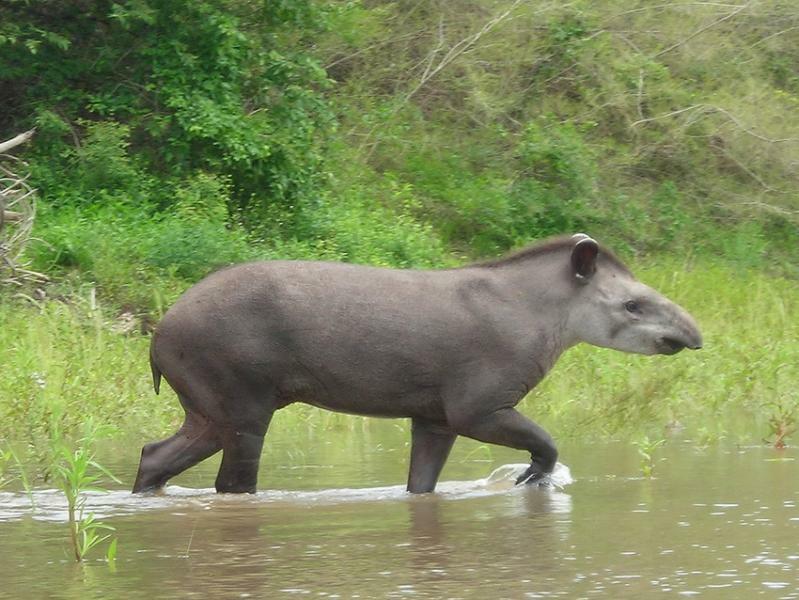 Admire the South American tapir around the lagoon in Campo Iris Nature Reserve. 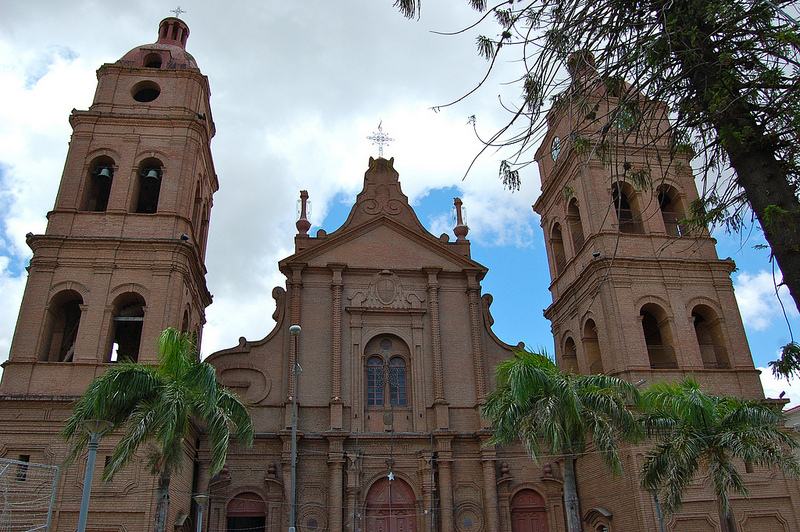 Take a boat ride on the River Paraguay and explore Asunción with its mix of colonial and modern architecture. Swim under a waterfall and see the hundreds of colorful butterfly’s and wild monkeys at Ybycui National Park. 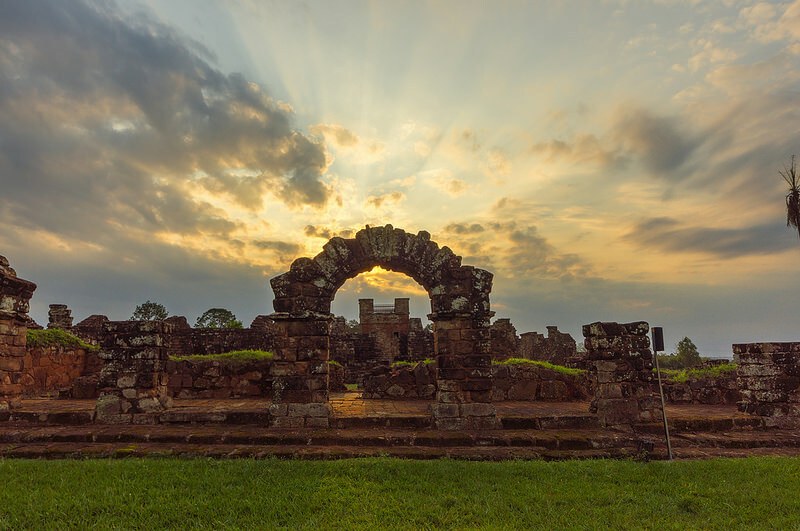 Delve into the rich past of southern Paraguay with a couple days visiting several of the Jesuit Missions. Be mesmerized at Iguazú Falls, a network of 275 different waterfalls that is surely one of the world’s most awe-inspiring sights. Full services of an Out of Bounds Tours leader with local English-speaking guides and drivers. All meals from arrival until departure. All transport within the itinerary. All entrance fees, sightseeing, excursions and activities as per the itinerary. We begin our Bolivia tour with an early morning arrival into La Paz where you will be met by your rep and transferred to the hotel. 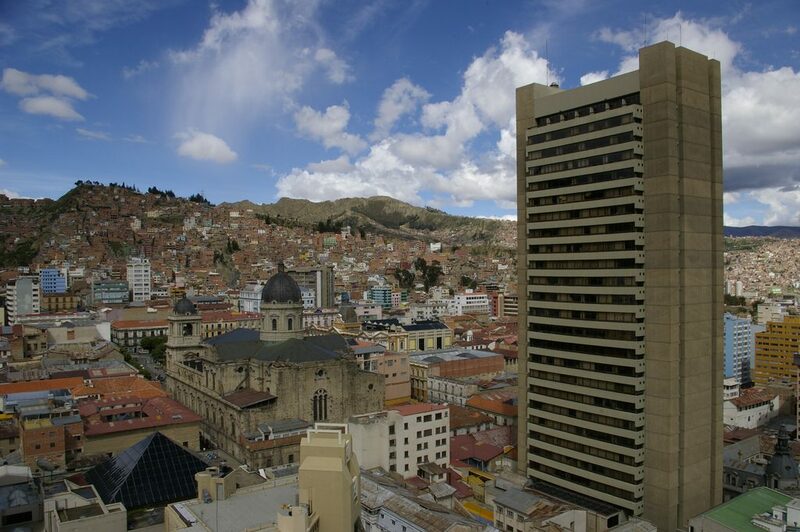 A full day of sightseeing around La Paz will include the Witches’ Market, where vendors sell everything from Ilama fetuses and dried frogs, Palaza Murillo to see the government buildings and city cathedral, Calle Jaen, which is one of the few places in the city with preserved colonial buildings. 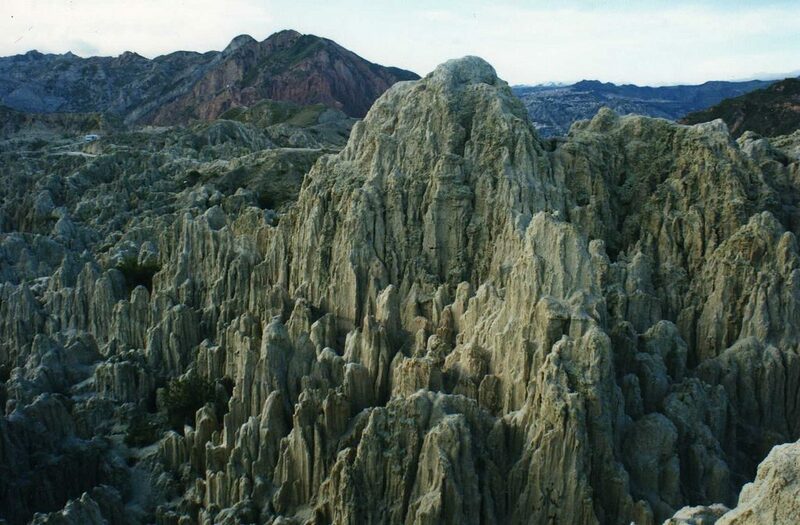 Later, we will make a trip out to Moon Valley (Valle de la Luna), a very beautiful and unique area featuring lunar landscapes and bizarre geological formations, where we will watch the epic sunset. Overnight in La Paz. 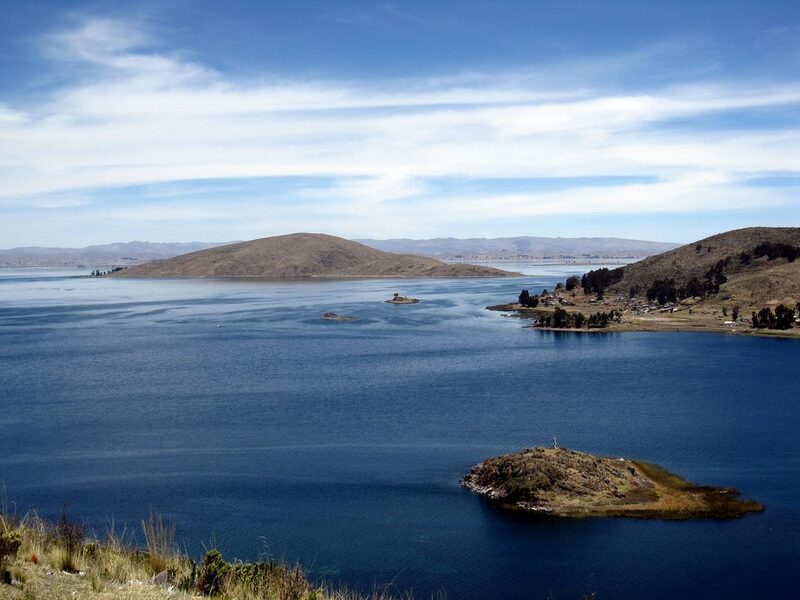 From La Paz, a 4-hour ride through impressive Bolivian landscapes will take us to the ancient Aymara-Quechua shrine of Copacabana, which is also the main Bolivian town on the shores of Lake Titicaca. After lunch at a local restaurant, a local style motor boat will take us for a one-hour ride to the Sun Island (Isla del Sol). There are no cars or paved roads here, and electricity only reached the tiny villages within the last decade. Even today, the island’s myths and legends are prevalent, and this island suspended in time guards some of the most interesting remains of the ancient pre-Columbian terraces. You’ll learn about these as you trek the ancient ruins hidden in the folds of the steeply terraced slopes of the island. Overnight at local eco-lodge. 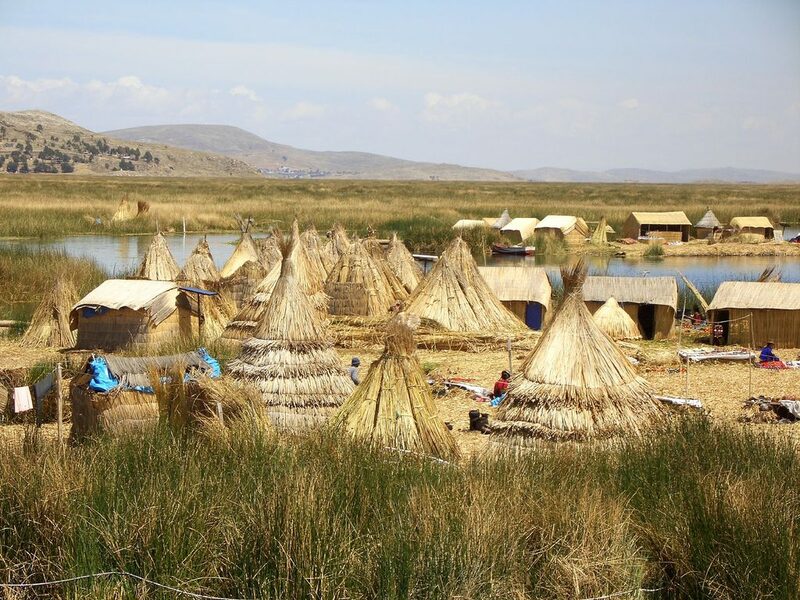 Today on our Bolivia tour, we continue our journey by boat as we cross the lake towards the eastern shore, where we will spend the rest of the day and the night in a traditional fishing and farming community. We will have the opportunity to try out some agricultural practices with our host family and experience what their daily life is like. This is a unique chance to glimpse what real life is like in the Bolivian highlands. Dinner and overnight at a family house. ** Note: Life in the village is rudimentary and we will eat with a local family and stay in a designated guest room within or attached to the main family home, which typically does not have proper running water, plumbing, or electricity. This promises to be a long but spectacular day on the road across the Bolivian Altiplano. 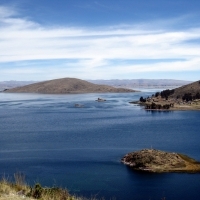 The day begins with superb views of Lake Titicaca, then we skirt the snow-capped peaks of the Cordillera Real (Royal Cordillera) until we reach the Altiplano city of El Alto near La Paz. From there we travel along the main road that links to the mining center of Oruro where we will spend the night. Most of the day will be spent at approximately 3700 meters above sea level. 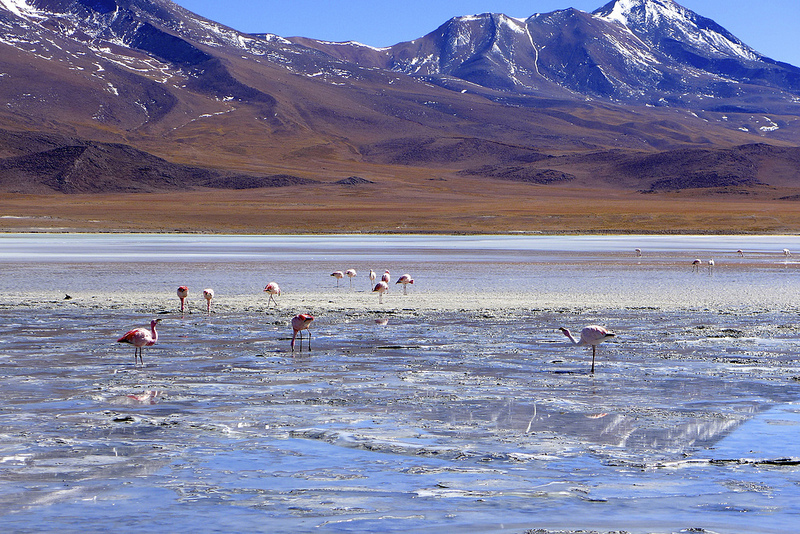 The vast windy plateau and arid steppes of the central Andes known as Altiplano that extends around Oruro is one of the most surprising geographical features of this part of the world. This is where the oriental (eastern) and occidental (western) ranges of the Andes are at their widest. 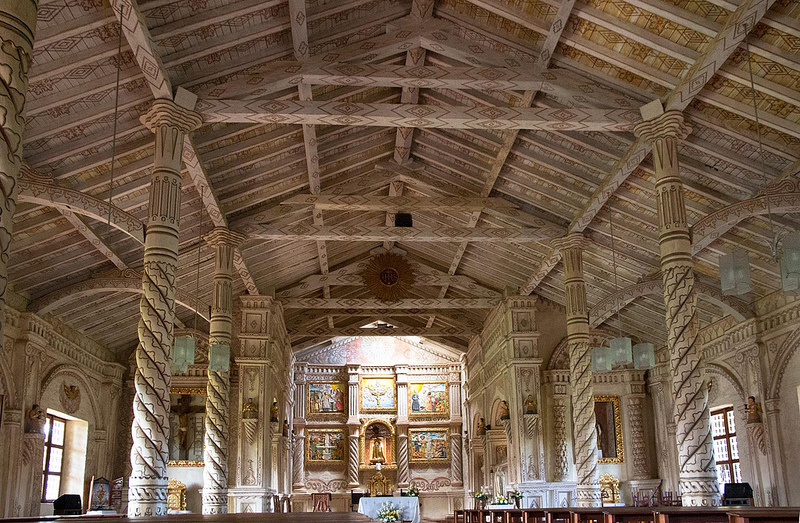 The scrub vegetation stretches 600km to the south to Chile and Argentina, boasting an unexpected array of wildlife as well as a few small settlements here and there including some interesting cultural sights, such as the colonial churches in the vicinity of Pampa Aullagas. 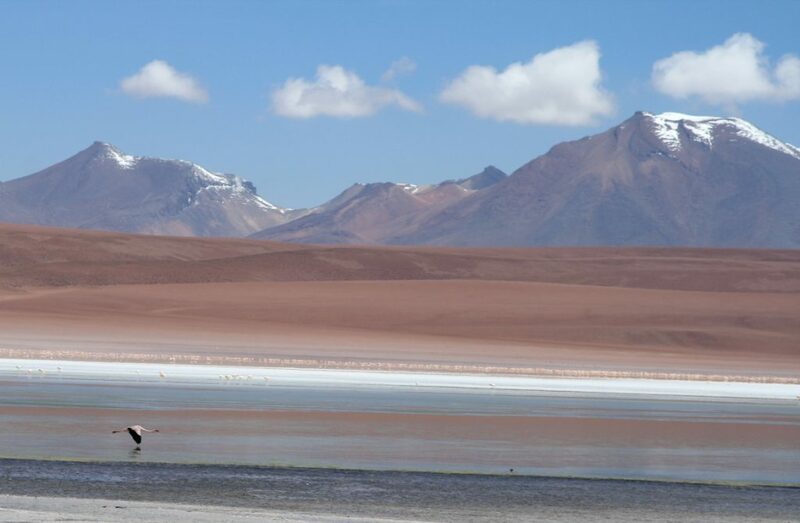 At the end of the day, we will drive along the slopes of Mount Tunupa (5,432 m) which stands on the northern shore of Salar de Uyuni. 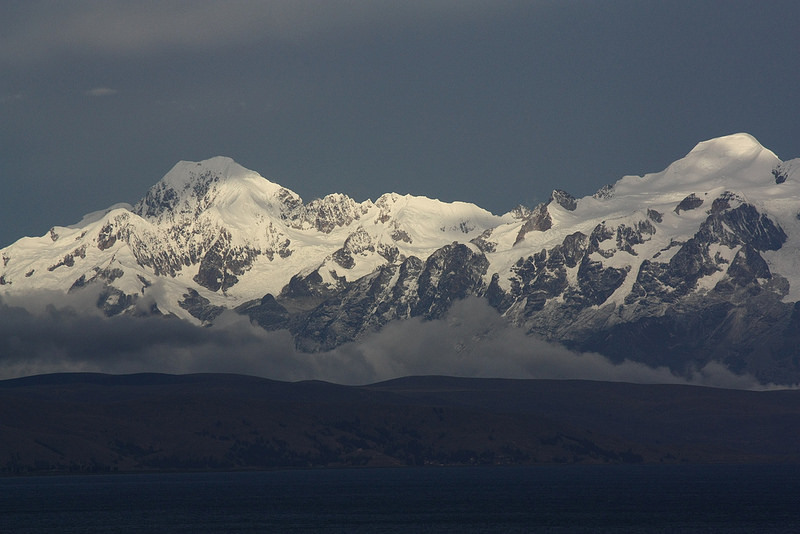 This dormant volcano is the main geographic feature and a much revered sacred site in this part of the Andes. Expect stunning scenery as the night falls over the salt flats. Overnight at a local lodge on the foothills of Mt. Tunupa. 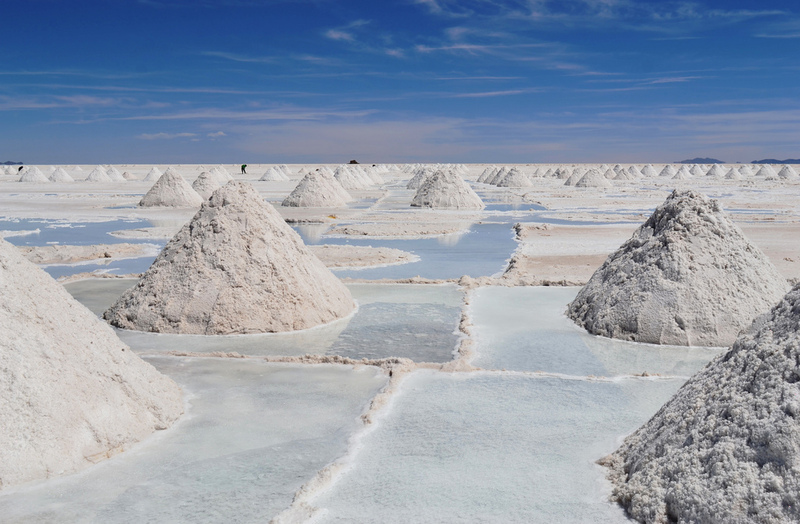 An early start today on our Bolivia tour will enable us to make the most of our morning at Salar de Uyuni. This starkly barren landscape is nothing but a beautiful white blanket stretching to the horizon, where snowcapped mountains shimmer under deep-blue skies. With scant rainfall and infertile soils the lake shores support only a sparse rural population, and there are no roads across the salt flats, only seasonal tracks left by a few jeeps that take adventurers like us to experience this other worldly place. Here the silence is complete; no sound here except the crush of salt crystals beneath your feet. 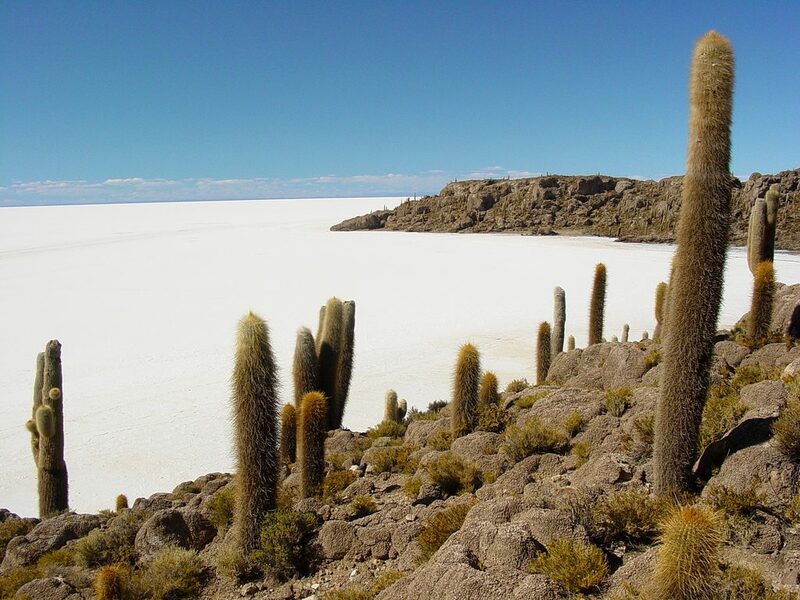 After a picnic lunch in the middle of nowhere, we head to the small town of Uyuni on the eastern shore of the Salar. From there it’s a 3-hour drive to the colonial city of Potosi where we will spend the night at an ancient hacienda. We will begin this morning of our Bolivia tour by walking the narrow streets of this historic city, which during its mining heyday in the 17th century, Potosí was the biggest city in the Americas. Silver from Potosí was taken to Spain and used all over Europe. 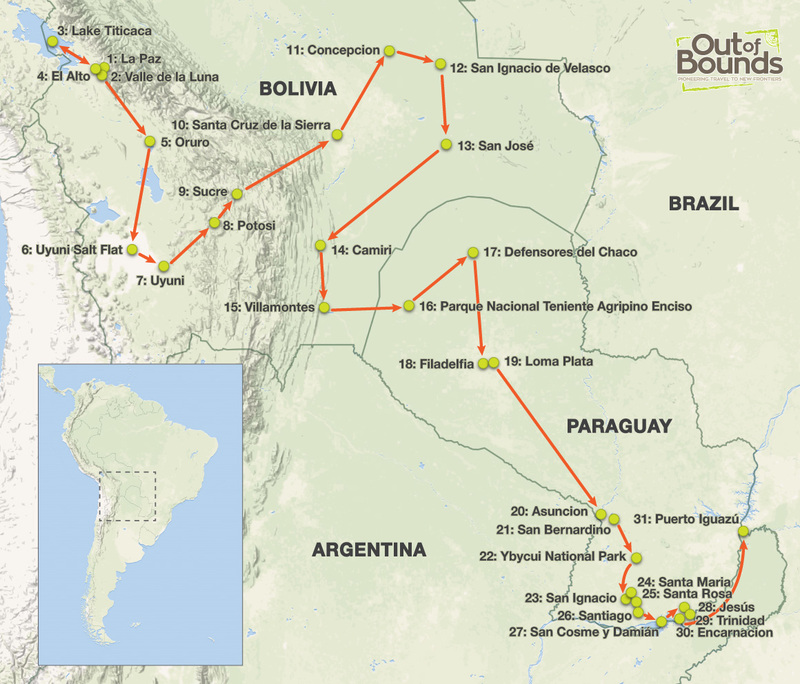 After lunch, we will take a very scenic 3-hour drive across the Andes to Sucre, the first capital of Bolivia. Founded by the Spanish in the first half of the 16th century, its many well-preserved 16th-century religious buildings illustrate the blending of local architectural traditions with Spanish styles. Overnight at a restored colonial mansion in Sucre. The valleys surrounding Sucre are home to traditional weaving communities, whose way of life hasn’t changed in centuries. The handicrafts and colorful handmade textiles (locally known as aguayos) of the Sucre area are famous throughout Bolivia and abroad. These ages-old art forms and techniques can be seen today in every corner and indigenous settlements in the region such as in the ancient villages of Tarabuco, Jatun Yampara, Potolo and others. 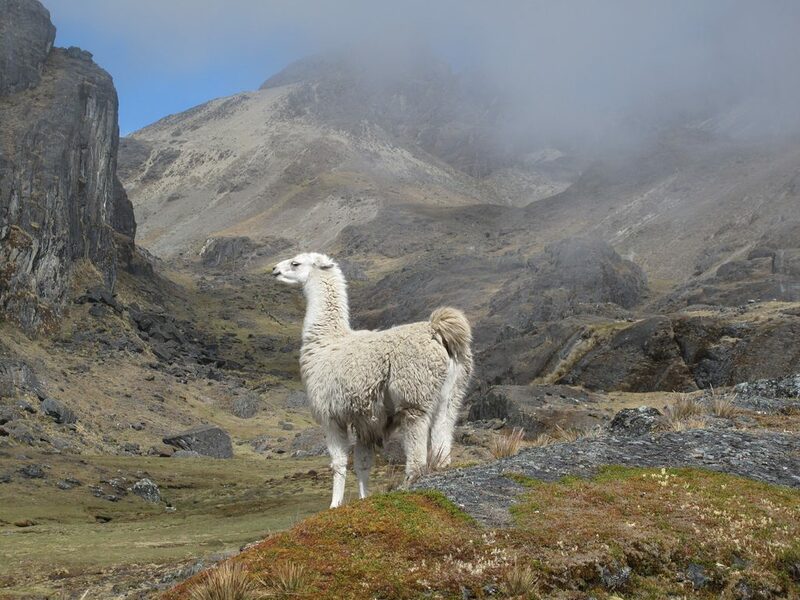 We will visit some of these remote settlements and meet with the locals to learn about their crafts and their everyday life in this part of the Andes. Overnight at local community-run lodge. After breakfast in the village, we will drive back to Sucre on time for our short flight to Santa Cruz de la Sierra. 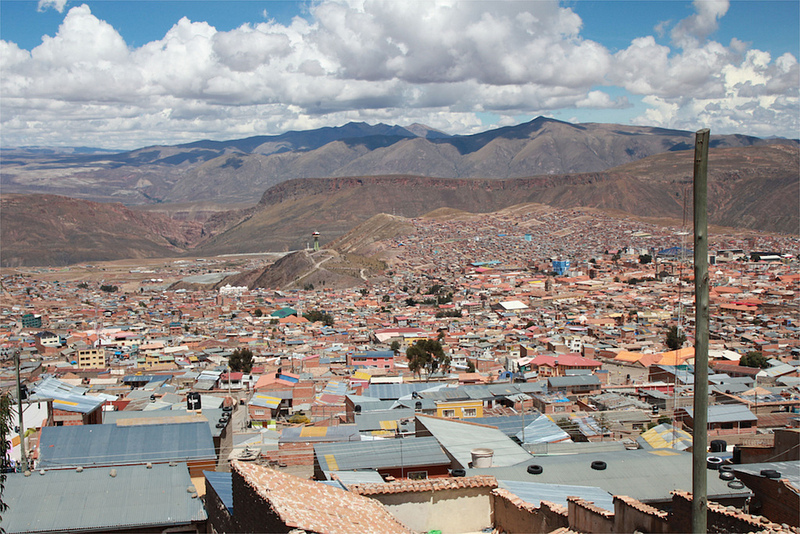 At 416 meters above sea level, Santa Cruz is located in the Eastern Lowlands of Bolivia. It is warm and distinctly tropical most of the year, and is a perfect tropical spot for wildlife viewing and birding. 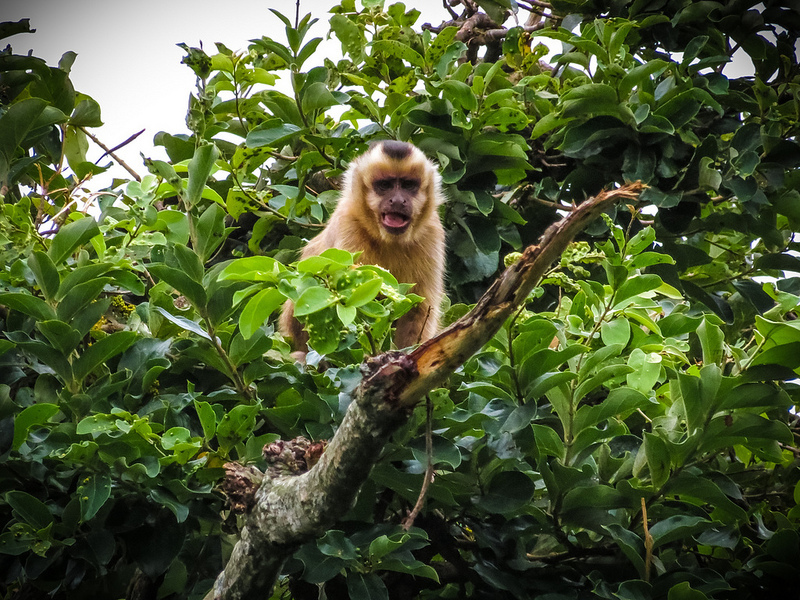 After settling in our hotel, we will head out for the afternoon to the outskirts of the city to see sloths, monkeys and other wildlife at one of the natural preserves around Santa Cruz, such as the botanical gardens, La Rinconada park and Biocentro Guembé. Overnight in Santa Cruz. The numerous indigenous tribes in the eastern lowlands of Bolivia were traditionally hunters and gatherers. In the 18th century the Jesuits settled these people into groups called reducciones (reductions). Several thousand native people were organized into productive units that were a type of socialist society. Some considered the groups little utopias. Architects, sculptors and musicians were brought from Europe to help build the churches and the community. The local people proved to be talented artisans and musicians. The prosperity of the missions caused political issues within the Catholic church and the Jesuits were expelled from South America in 1767. Nowadays, the Jesuit Missions of the Chiquitos are truly monumental treasures and are officially listed as a UNESCO World Heritage Site, and a true highlight of our Bolivia tour. Our in-depth excursions throughout the next few days will combine history, religious art, culture, and beautiful countryside as found in very few other parts of the world. We will be making visits to San Xavier (built 1691), Concepción (1709), San Ignacio (1748), San Rafael (1696), San Miguel (1721), Santa Ana (1755), and San José (1698). We also plan to visit to a local Mennonite community, which are a relatively unknown religious community of European descent, in eastern Bolivia. As the 21st century brings modernity almost everywhere, the Mennonite way of life has remained relatively unchanged for decades and even centuries, with this group choosing to live in isolated farming communities and remaining fiercely protective of their privacy. There are an estimated 70,000 Mennonites residing in Bolivia. Throughout our time in this deeply interesting part of Bolivia, we will have overnight stays in Concepción, San Ignacio and San José. Today we will head to the Chaco area as we drive southbound along the easternmost foothills of the Andes to Camiri (a good 460 km) and Villamontes (another 160 km) where we will spend the night. 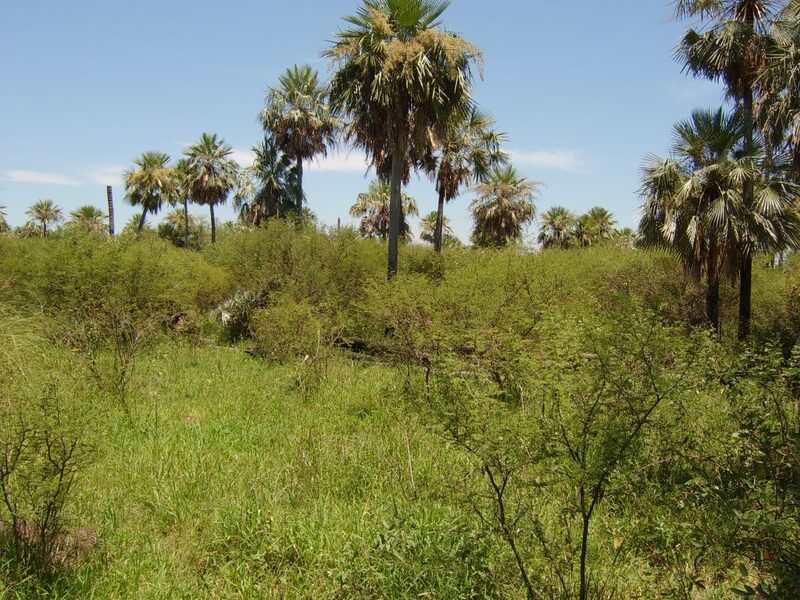 Here the tropical dry forest gradually gives way to the bushy and thorny vegetation that is typical of the Chaco environment. 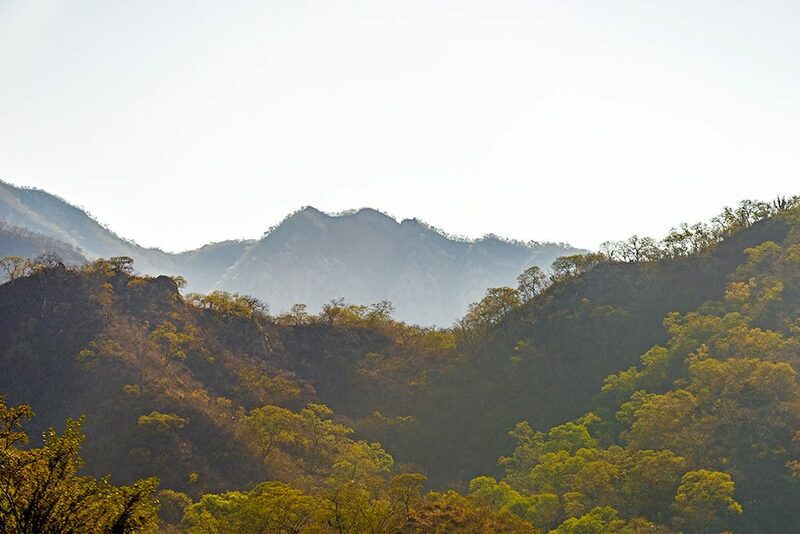 This hot and semi-arid to arid region is home to the largest virgin dry forest left on Earth, and is practically uninhabitable in places due to the lack of water. Overnight at local hotel in Villamontes. Villamontes sits on the north shore of the Río Pilcomayo which cuts through the last hills of the Andes before the endless flats of the Chaco. From Villamontes the Trans-Chaco Highway heads east to the thorny thicket and into Paraguay. 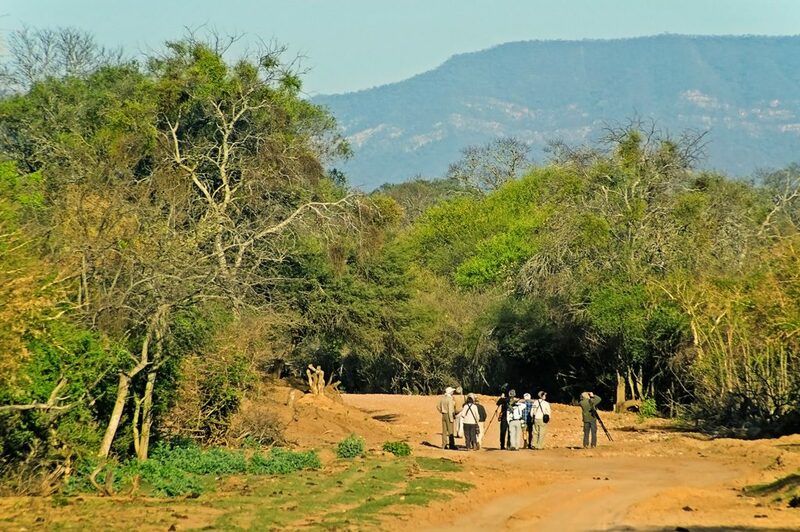 We will drive to the border of Paraguay (130 km) and meet with our Paraguayan partners and continue in 4WD vehicles to Parque Nacional Teniente Agripino Enciso, where we will overnight within the park. This morning of our Paraguay tour, we will leave early in the morning to Defensores del Chaco National Park, located in the heart of the Paraguayan Chaco and similar in appearance to outback Australia. 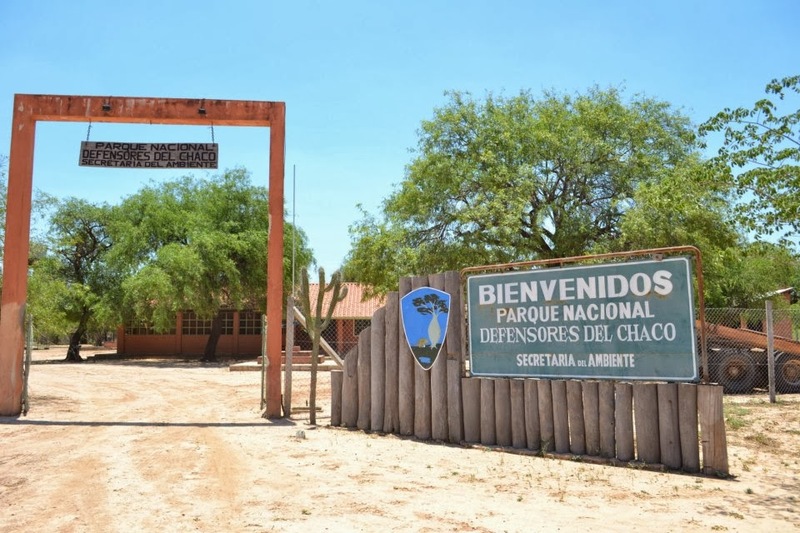 Chaco is home to many endemic and endangered species, including includes species such as Chaco Guanaco, the Chaco Tortoise, as well as the Chaco Peccary, which was only rediscovered in 1975. 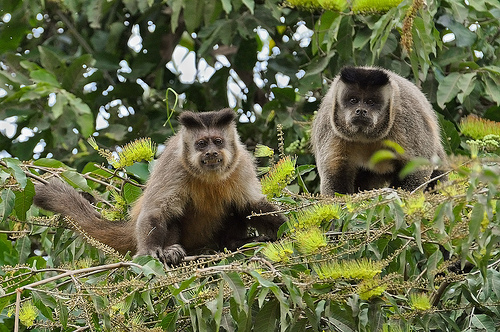 The dense thorn forest harbors large mammals rarely seen in other areas, such as the jaguar and puma, are found in abundance in this region. Fifty-three species of mammals have been reported in the Chaco, compared to only 34 found in nearby Manu National Park in Peru. Some birds recorded here have been the endangered crowned solitary eagle, Greater rhea (South America’s largest bird), Chaco chachalaca, Chaco Blue-fronted Amazon, guira cuckoo, and Brushland tinamou. We will spend a full day and evening (with floodlights) fully exploring the around the park in search of wildlife with local naturalists. This morning on our Paraguay tour, we visit the area of Cerro Leon, which is the core area of Parque del Chaco and a unique geological formation that covers around 40 km of diameter and it is made of a succession of hills. Later we will head to Filadelfia where we will enjoy a delicious roast for dinner. Overnight at a Chaqueña homestay in Filadelfia. 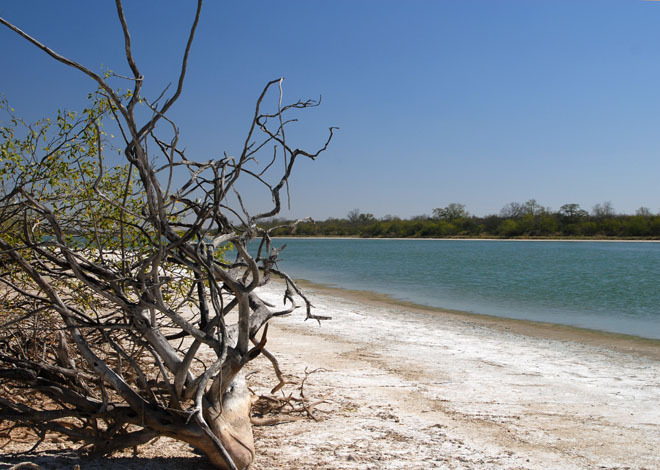 After breakfast, we will visit the Campo Iris Nature Reserve, which contains the only temporal lagoon in a wide area, making it a vital resource for the local wildlife, which come to drink in the reserve. 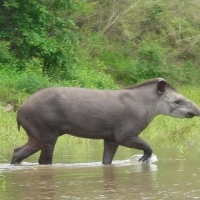 We expect to see the South American tapir while visiting the lagoon within the reserve. Later we will explore around Filadelfia, a Mennonite colony of mostly German immigrants that moved into the area in the 1920’s, coming by way of the Soviet Union. Here we will visit some of the colony areas where the Mennonites make their living in agriculture, in particular dairy cattle farming and peanuts. The Mennonites still speak German, but Spanish is spoken as readily. Overnight in Filadelfia. This morning on our Paraguay tour, we spend time around the salt lakes of Campo María, which has an observation tower that is excellent for bird and wildlife watching, and Laguna Capitán, that is populated with many flamingos. Later we head to Loma Plata, another rural Mennonite colony 450km north of Asuncion where the majority of the residents are of German origin that came by the way of Canada. Overnight in Loma Plata. Early this morning ,we will head southbound, breaking the drive between the Dry Chaco and Humid Chaco to look for wildlife and and enjoy the scenery in this little-visited area of the world. 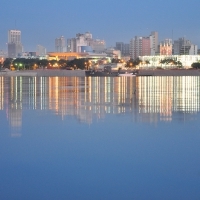 Overnight in Asunción. Today we will set out to explore historic Asunción, which offers an interesting infusion of modern and colonial architecture. 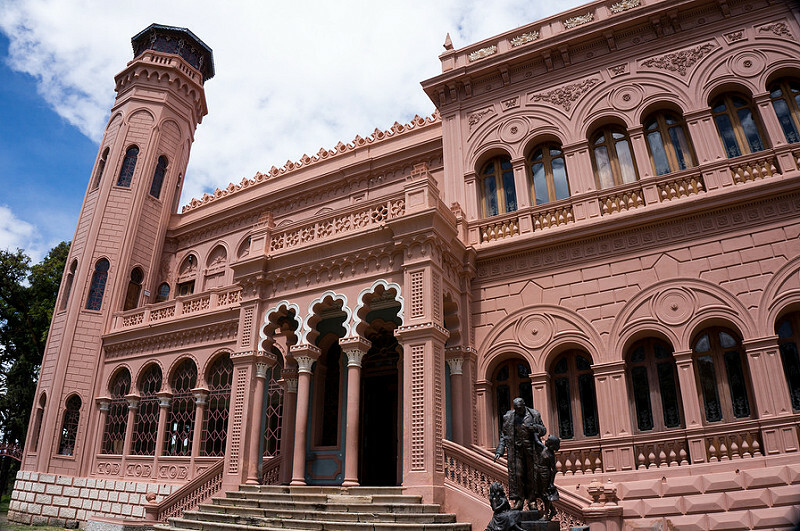 Some of the areas we will visit include: The House of Independence; the Cathedral of Asunción; the Government Palace; the Railway Station (location of the oldest steam locomotive in South America); the National Heroes’ Mausoleum, where the remains of some of the greatest figures of Paraguayan history are resting; the Casa Viola, one of the first buildings of the colonial period in Asunción, today a modern art museum with works by local artists; and the Museum of Natural Sciences and Botanic Garden of Asunción, where species of fauna and flora of the region are found. In the afternoon we will take a short boat trip on the Paraguay River, before heading by road to San Bernardino, which is located on the shores of Ypacarai Lake. Overnight in San Bernardino. 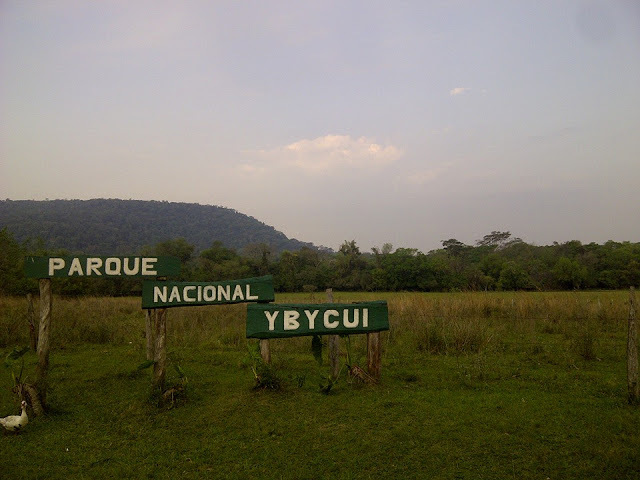 After breakfast, we will make the short drive to Ybycui National Park, located in the Upper Parana Atlantic Forest. We will have a full day to hopefully spot some of the wildlife within the park, including howler and capuchine monkeys, deer, South American coati, numerous bird species, and hundreds of colorful butterfly’s. We will also pay a visit to a historical site within the park, which consists of the ruins of La Rosada steel smelting/foundry, the first in South America, that was destroyed by the Brazilian forces during the terrible Triple Alliance War in the 1800s. Later we can spend some time lightly hiking the trails through the lush vegetation and can take a swim below one of the waterfalls. Overnight at a hotel near the park. In the 16th-century, Jesuit missionaries from Spain and headed into the forests in present-day northeastern Argentina and eastern Paraguay in order to convert the indigenous people of the Guarani tribe to Christianity. 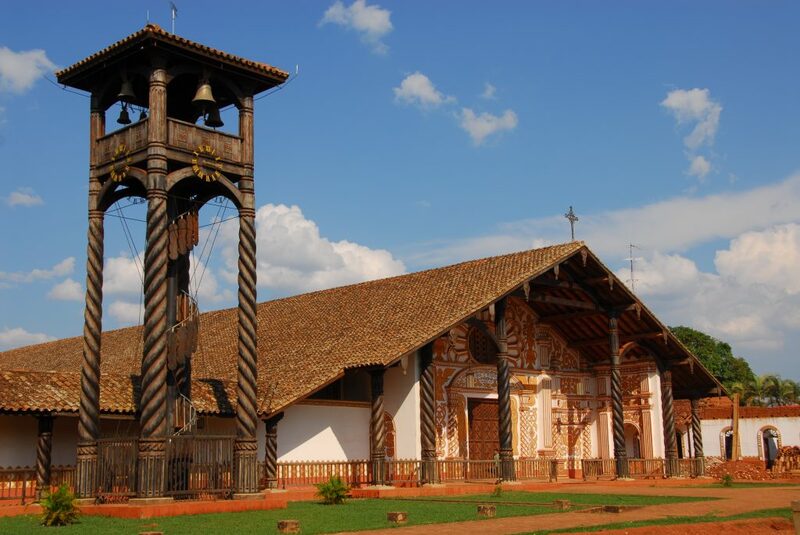 They built ornate baroque missions and community dwellings deep in the jungle, where the missionaries lived side-by-side with the Guarani for a century and a half. Each mission was managed by two or three Jesuits, who oversaw about 3,000 to 4,000 Guaranis, and the conventional arrangement included a large central square with a school, church, orchard and cemetery laid out around the Indians’ dwellings. Eventually the Jesuits were ousted, but the ruins of the missions remain. 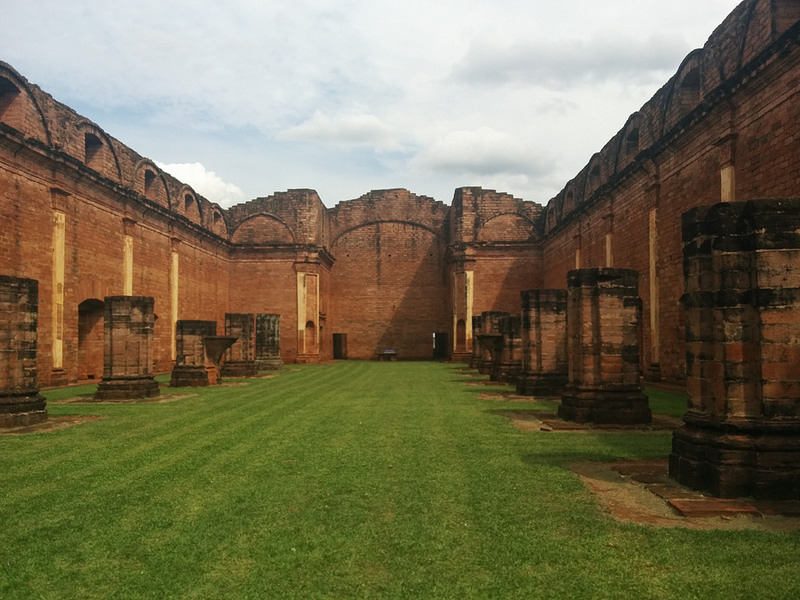 The Jesuit Ruins of Paraguay are considered some of the most impressive creations of the religious work of the Jesuit, and are testimony of the historical richness of the country. 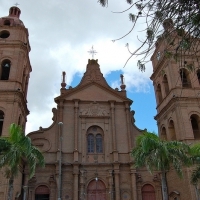 We will spend the day while expert guides visiting the ruins of San Ignacio, Santa María de Fe and Santa Rosa. Overnight at a ranch near Santiago. 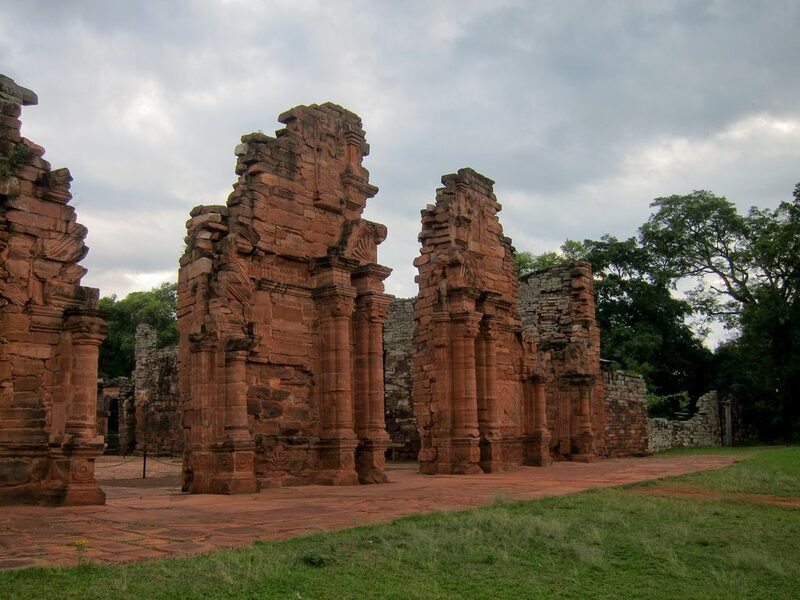 We will further explore the Jesuit Ruins with visits to San Cosme y Damián, Jesús and Trinidad. The ruins of the Jesús mission, together with those of Trinidad, were designated a UNECO World Heritage Site in 1993. Our first stop will be San Cosme y Damián, which was erected in 1740. Although it is among one of the least interesting ones from the architectural point of view, this mission was the main center of astronomic studies in South America. There are several statues inside this church that are worth seeing. Next, we will make the drive to Jesús de Tavarangue. The church of was in the process of being built at the time that the Jesuits were expelled out, but had it been finished, it would have been one of the biggest churches of that time. It remains in very good condition, looking more or less the same as it did when construction was left off. 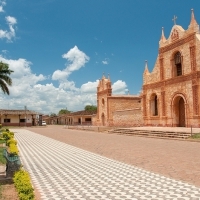 Set among a beautiful and verdant field, Trinidad (La Santisima Trinidad de Parana), founded in 1706, is considered the biggest of all the missions and has the largest built temple among all the Jesuit Missions, with an altar carved in a once piece stone. It has a central square, the town’s place of meeting and a museum, located in the old sacristy, are the sculptures and a scale model of the mission. Finally, we will head to Encarnación for dinner and will have an evening at leisure to wander around this very attractive town. Overnight in Encarnación. 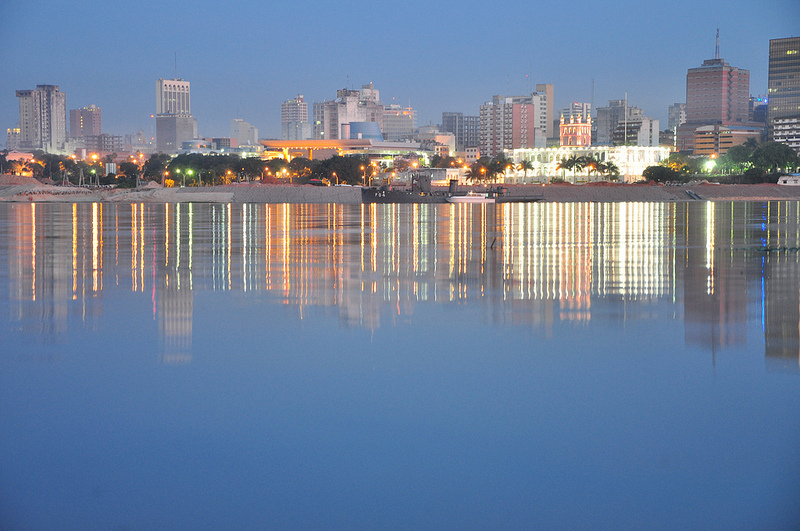 This morning on our Paraguay tour, we will visit Itaipu Dam, one of the largest hydroelectric dams in the world, located on the border with Paraguay and Brazil on the Paraná River. Later we will take a walk through the Iguazú National Park, a dense jungle surrounding the falls on the Argentina border, and spend time enjoying the majestic Iguazú Falls. Overnight in Puerto Iguazú. Early this morning, we will set out to visit the Argentina side of Iguazú Falls, where we have the option of taking a boat ride to get up close to the falls at the Iguassu River canyon at the base of the falls, the San Martin waterfall, and the Devil’s Throat fall. Later we will depart to Cataratas del Iguazú International Airport: IGR for onward flights. End of services.